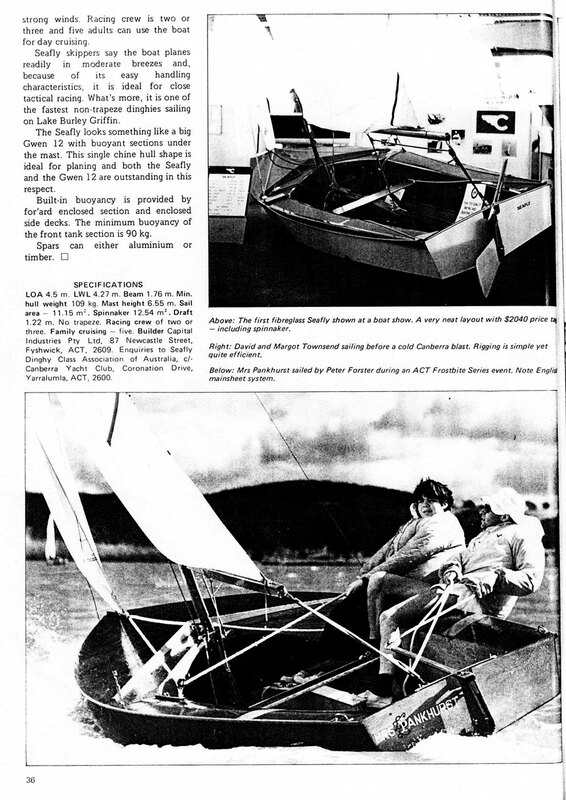 A GRP Seafly built by Capital Industries in Fyschwick, ACT, was exhibited at the Sydney Boat Show. 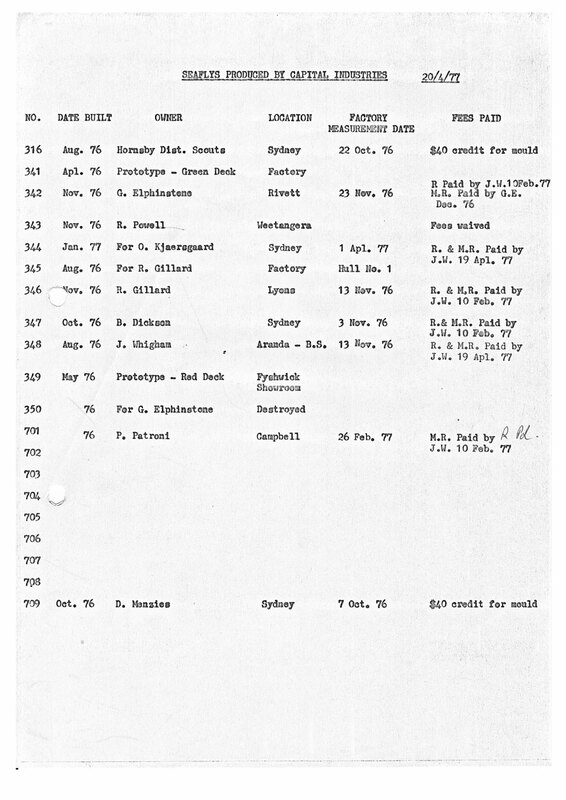 The mould had been paid for by the New South Wales branch of the Australian Seafly Class Association. 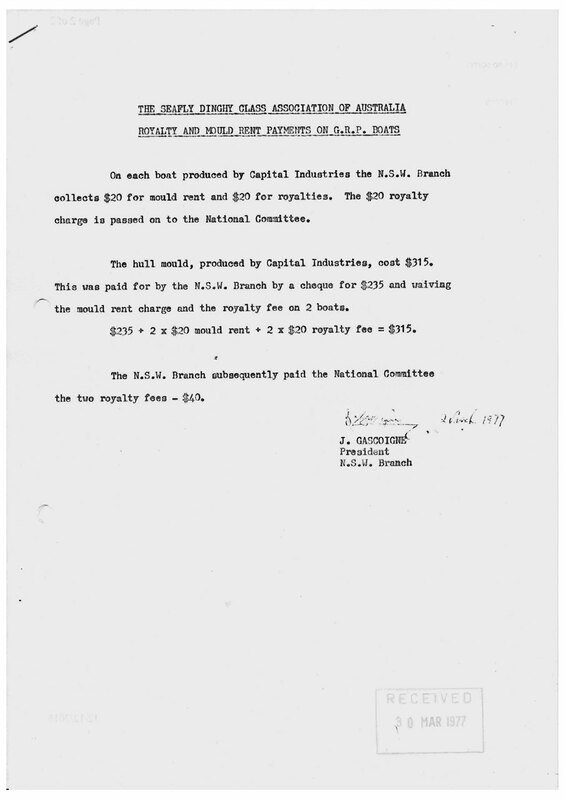 The documents shown relate to the cost of the moulds and payment for mould hire and boat registration. 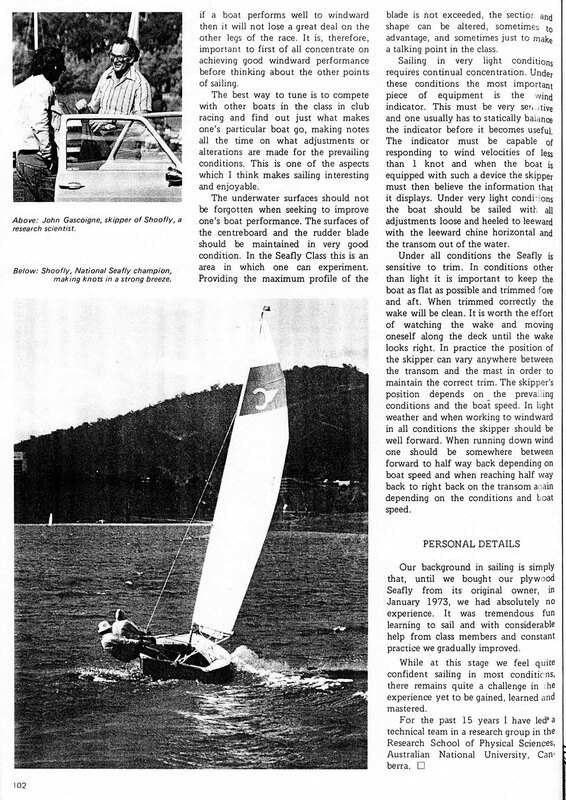 A review of the Seafly, contemporary to the introduction of the GRP hulls, was published in a Seacraft Magazine Special Issue on Family Sailing. 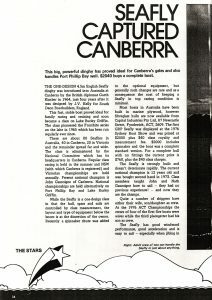 The first Australian GRP Seafly is featured together with prices and availability. 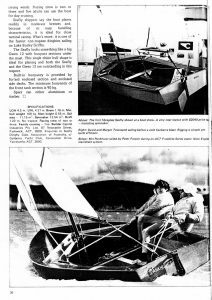 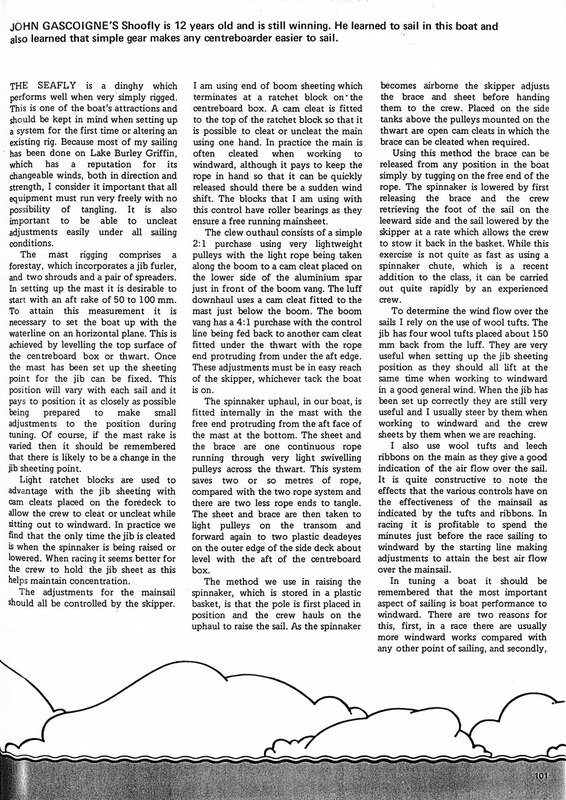 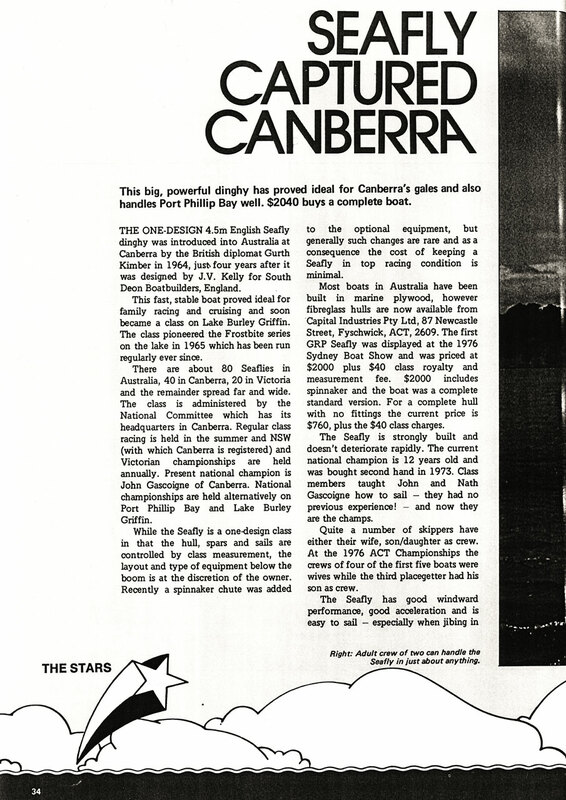 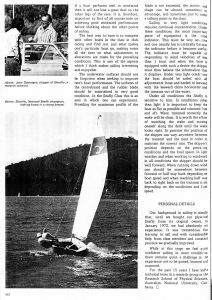 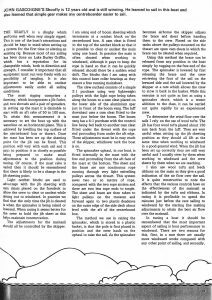 Also reproduced below is an article on Seafly Sailing featured in the same Special Issue, and written by John Gascoigne, then President of the New South Wales Branch of the Australian Seafly Class Association.